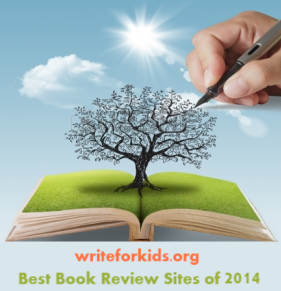 The reviewer received an electronic galley from the publisher. High in the mountains in a region between India and Tibet, there are a series of caves carved out by people thousands of years ago. Sandra K. Athans takes readers on an adventure to discover that secrets of what was left behind thousands of years ago in the Sky Caves. 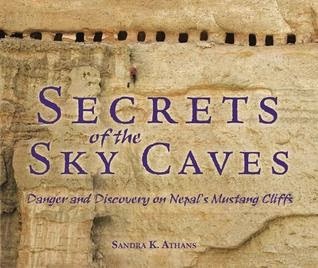 Secrets of the Sky Caves takes place in the Mustang region which is controlled by Nepal. In 2007 a team that included climbers, archaeologists, an author and two children spent thirty days traveling to the "Sky Caves" in Mustang. The caves were carved to be used as dwellings and burial chambers beginning around 1000 BCE. The 2007 expedition was led by Pete Athans, brother of the author. Using climbing gear, the team was able to reach caves high in the mountainous region where they discovered cave paintings dating back to the 1100s. They also located ancient, clay artifacts and rare manuscript papers containing religious writing. The team returned several times with the permission of the government of Nepal and Buddhist leaders. Their mission was to remove artifacts and papers and to document what they had discovered including numerous mummified bodied and the heads of mummified animals. The unique topic along with the narrative writing style will hold the attention of middle grade readers. The book is well-organized and contains text features including maps, a timeline, and detailed captions that will help readers understand the information presented. Stunning photographs are thoughtfully placed throughout the book giving readers a glimpse into the beauty of the region and the amazing caves. It is evident the author spent a great deal of time interviewing members of the expedition and researching the Mustang region. In addition to learning about the work of archeologists and translators, readers will also gain an understanding of the history and religion of Mustang. Fans of the Scientist in the Field series will want to check out Secrets of the Sky Caves. It gives readers a glimpse of the important and interesting work of archeologists and historians. Visit the Lerner Publishing site to preview pages from the book. That sounds like an amazing place (and book!). I will track it down for my kids! Thanks for the great review!